Seng Yu Jin: Our roundtable comprises students from the MA in Asian Art Histories programme at LASALLE College of the Arts, and we are looking at the Singapore Biennale 2016 – An Atlas of Mirrors, henceforth SB2016, as a case study of the “curatorial complex”. For our purposes here, the “curatorial complex” can be defined as an anxiety to deploy thematic frameworks and metaphors that invest the curatorial with a reflexive agency to mediate between the artwork, the spectator and itself. Herein lies a contradiction: An Atlas of Mirrors employs the many tropes of maps, journeys and mirrors as navigational tools to illuminate the processes of the becoming of Southeast Asian subjectivities. And yet, by having such strong thematics, SB2016 — and this is a situation faced by several biennales — seems to circumscribe the open-ended possible meanings and imaginations generated by individual artworks. Our roundtable will consider two questions. Teng Yen Hui: Question One: How many artworks in SB2016 seem to manifest the curatorial complex through a literal interpretation of the title, and its attendant metaphors of maps, mirrors, and voyages? How effective — or not — are such artworks in critically engaging with their own multiple concerns as well as with the curatorial frameworks of SB2016, which may possibly circumscribe the individual artwork’s own meanings? Elaine Chiew and Seng Yu Jin: Question Two: Let’s consider SB2016 in the context of exhibitions by SAM (Singapore Art Museum). Firstly, those that have focussed on the geographical imaginary, such as: Odyssey: Navigating Nameless Seas (2016); Imaginarium: Over the Ocean, Under the Sea (2016); to which we can add, An Atlas of Mirrors (2016). Secondly, SAM exhibitions on Southeast Asian art: for example, Negotiating Home, History and Nation: Two Decades of Contemporary Art in Southeast Asia 1991-2011 (2011), which focused on the “historical turn” as it curatorial premise. How has SAM positioned itself as a local and regional exhibition-making force, and to what degree do these previous projects forecast “geographical” and “historical turns” as central to SAM’s own curatorial impulses? ‘Damien I’m Famished (After Damien Hirst)’ by Krit Ngamsom, at Imaginarium: Over the Ocean, Under the Sea at SAM. Image courtesy of artist and Number 1 Gallery. Usha Chandradas : To respond to the first question. Made Wianta’s Treasure Islands is composed of animal skin maps, with mirrors and nails attached to the maps’ surfaces. It is a literal representation of an “atlas” of “mirrors.” Separately from SB2016, the artist has been making work and doing research on the Spice Islands for some time, in particular, the island of Rhun. In 1667, the Dutch colonial government exchanged control of Manhattan for dominion over Rhun, and the two islands then proceeded to embark on vastly divergent paths. Treasure is not without its sensitive nuances — the use of animal skin is raw and visceral, referencing the stripping of island resources by the Dutch. The earthy brown tones of the maps are simultaneously evocative of the colours of spices, as well as the sterile emptiness of an exploited land. Yet it may be argued that these ideas become somewhat lost with its placement in an exhibition entitled “An Atlas of Mirrors”. 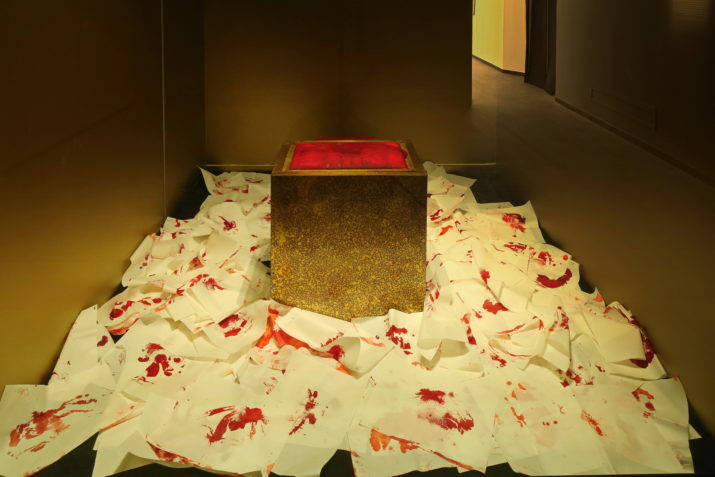 Although it was not commissioned for SB2016, there is a nagging suspicion that Treasure was chosen for its physical components, which causes the work to lose some of its allegorical meanings. 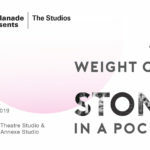 The rich metaphors employed by Wianta in his careful handling of materials are diluted by an overarching biennale theme that seems not to have been used to prompt further critical thought on the part of the viewer. In this case, SB2016’s theme functions mostly literally, whereas perhaps different curatorial framings could have encouraged other, more interesting tangential associations. Elaine Chiew: After the initial “wow”, Noah’s Garden II by Deng Guoyuan, for me at least, left less of an impact. Billed as a labyrinth of mirrors hyper-reflecting an artificial laboratory of flora, it certainly has taken the nature/culture sub-theme of SB2016 literally, to its extreme even. However, its overwhelming artifice seems to exacerbate instead of heighten an experience of plastic superficiality, and the supposed “surplus of meanings” of the artwork — invocations of Song Dynasty landscapes, historical legends about Eden/Utopia and whatnot — seem only weakly resonant with its commentary on the drastic social changes wrought upon China in the last century. The curatorial explanation for its placement in the chapel in SAM felt forced as well, attempting to imbue a “hallowed” element into an otherwise secular depiction of manufactured nature. Quieter works managed to evoke environmental issues more movingly, for example, Munem Wasif’s Land of Undefined Territory, where landscapes of barren land capture the social devastations wrought by human endeavour. While grouped within the same sub-theme, Noah’s relative isolation in the chapel also stood in the way of a stronger dialogic interaction with the other works such as Han Sai Por’s Black Forest 2016 and Patricia Perez Eustaquio’s The Hunters Enter the Woods. The curatorial text for Noah references the “aestheticisation of nature” — which is an interesting phrase, given that nature itself has no regard for aesthetics. Aestheticisation — what the human eye identifies as worthy to be copied or imitated, sampled from nature, and assembled into a garden paradise. 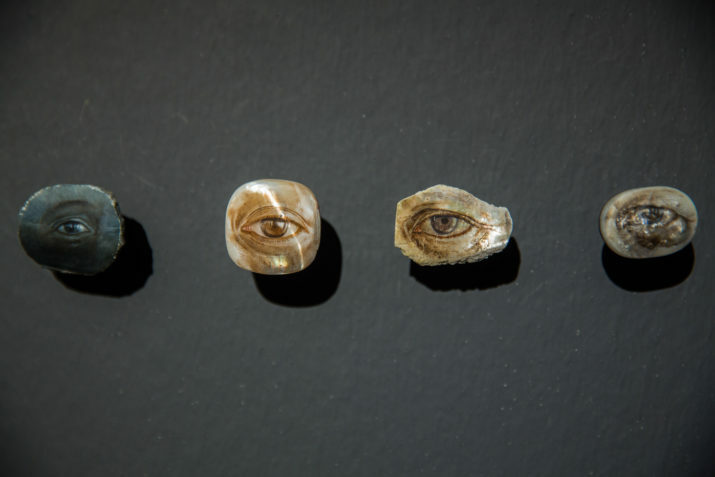 But this eye can be beguiled; Umberto Eco wrote that “mortal beauty when dissimulated is but a corpse coloured by the flavour of youth”. The illusory beauty of Noah clouds our judgment as to what we consider beautiful as well as what we consider ugly — the latter is, ironically, the more important point! The audience participation element also seems to undermine the artwork. One is less inclined to discuss ugliness, especially pertaining to human interventions into nature, when confronted with its obviously intended opposite. Rather than the artwork itself, I was more intrigued by how SAM provided attentive supervision, regulating the number of visitors allowed into the installation at any given time. The wrap-around blankets provided by the museum emphasised the artifice of this aesthetic experience, like a ride in Disneyland. Luke Chua: Harumi Yukutake’s Paracosmos lines the spiral stairway of SAM. It’s possibly the most photographed artwork of SB2016. Made entirely of hand-cut circular mirrors, the reference to the biennale’s theme cannot be missed. As one approaches the artwork, the fractured reflections make for a bewildering experience, not unlike that of seeing oneself in a mirror funhouse. The work speaks to the possibility of parallel worlds, evoked by reflections, which are simultaneously exact replicas of the original, yet also completely different as inverted mirror images. The multitude of mirrors on the curved wall unsettles our anchor in the “real” world by assaulting our senses in a kaleidoscopic barrage, where we see ourselves, everyone and everything in the vicinity multiplied and synchronised across the surfaces. The work is sited in a liminal space — one between two levels though not belonging entirely to either. On its own, the installation works well with its clear and effective artistic language. Ironically, however, the repetitive use of mirrors across SB2016 dilutes the artistic potential of this particular work. This dilution is exacerbated by the title of the conceptual zone in which the work is placed. Unfortunately named “An Everywhere of Mirrorings”, the direct references to “everywhere” and “mirrors” almost make the work seem shallow and superficial. The intention of the zone to explore “space” is not readily apparent either, and is lost within the maze of mirrors. It’s almost as if Paracosmos has been framed to appeal to audiences who are on the hunt for all the literal mirrors in SB2016, so as to take pictures of them to post on social media. The artwork seems to have lost much of its elegance and meaning in an exhibition for which it was commissioned. Seng Yu Jin: Usha made the point about how SB2016’s theme serves to simplify, rather than complexify the artworks — hence her word “dilute”. This is a point also raised by Luke, who uses the same word. The anxiety of literality discussed so far could be considered a manifestation of the curatorial complex. Rather than provoke audiences to make deeper readings, does SB2016 rush towards certain interpretations? In unpacking the question of the “literalness” of SB2016, do we find a difference between commissioned works and works that were not commissioned? Elaine Chiew: In unpacking this issue of “literalness” and the possible obviation of hidden, latent explorations beyond SB2016’s intended or implicated conceptual questions, here is where I hesitate (for reasons of self-reflexivity): (A) the leap from the particular to the universal. While both Wianta and Yukutake’s works might have suffered from the “cosseting” of an overarching theme of atlases and mirrors, elsewhere the overabundant literal use of mirrors such as in Map Office’s Desert Islands, or Melati Suryodomo’s Behind The Light spurred lots of reflection for me. On the whole, SB2016’s exhibition of both commissioned and non-commissioned works within the curatorial conceptual zones was ambitious and thought-provoking; the mirror and maps were rich metaphors for artistic exploration. If nothing else, that many new works were created is a benefit to both artists and audiences. I agree, some works were more effective than others in terms of “reflecting” underlying trajectories of meaning. But (B) who are the presumed or self-selecting audiences we are speaking of? This ties in with Luke’s comments above. 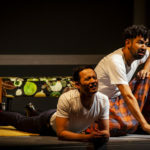 We may need to question our assumption that a “contemporary” Singapore audience would be so easily dazzled by literal interpretations of the themes and unable to see beyond these surfaces and introspect and excavate meanings for themselves. Eunice Lacaste: Speaking of commissioned works, Greg Halili’s Karagatan diverted from the map and the mirror as material objects but still retained the theme of reflectivity (shells, eyes) and mapping (embodied narrative mapping societal identity). No literalism there. But I would like to look at maps and mirrors not only as a thematic strategy but also as material objects. Such objects are less of a passive thing than an entity that is given a socially constructed meaning. Looking at their historical value, maps were cherished documents of crucial information. They provided knowledge of the geographical landscape: where food, shelter or the enemy is. Maps allow us to avoid dangerous terrain and animals. They are important not only for survival; today, they are also a tool for trivial activities. As for the mirror, it used to be a luxury item; the lower classes had to obtain their reflection through water, shells, and polished stones. The mirror supplements our perception by enabling us to see blind spots and heightening our peripheral vision. It is an object for self-reflection and meditation, but it can also be a platform for narcissism. Both maps and mirrors are embodied tools for study: mirrors to contemplate one’s self, and maps to study the world in relation to the self. Through their pragmatic functions, they have also become visual languages for societies as symbols of class, knowledge and power. Maps and mirrors have varying use by different cultures. For example, Wianta’s and Tita Rubi’s representation of colonial trade through these themes differ glaringly. Seng Yu Jin: Let’s move on to our second question, which considers SB2016 in the context of exhibitions by SAM. Usha Chandradas: I have a couple of interconnected comments. Firstly, perhaps we could start by thinking about the role of a biennale, more generally, before we get to how this particular Singapore Biennale envisions itself as being. The promotional brochure for its January Symposium notes that “since the 1990s, biennales have become one of the most celebrated and pervasive exhibition formats for contemporary art, especially in the Asian region”. Broadly, biennales are large-scale contemporary art projects which are linked by a common curatorial theme. They are distinguishable from run-of-the-mill museum showcases and from gallery exhibitions due to their expansive scale of operations — often involving different venues — and the fact that the artworks are not for sale. In Asia, art exhibited in biennales often acquire a veneer of importance that commercial galleries cannot readily achieve. Their sheer scale and association with national status and identity can result in such events being tainted with more than just a whiff of jingoism. One might say SB presents the city-state as an arbiter of style and taste in contemporary art for the region. The flamboyance and showiness of a biennale also can create a perception of vibrancy and economic well-being. Secondly, are SAM exhibitions like Negotiating Home effectively mini-Singapore Biennales? Negotiating Home featured over over 70 works from Thailand, Indonesia, the Philippines, Vietnam, Singapore and Malaysia, and had a strong historical, socio-political and geographical slant; the main wall text, for instance, noted that the “curatorial references used to contextualise the pieces are mired in Southeast Asian history, geography and culture”. Yu Jin asks whether Negotiating Home is like an archetypical SAM show in terms of its emphasis on history and geography. A curatorial framework that emphasises history brings with it a sense of authority, a sense that the works displayed are important because they refer to, or question, “established” truths or official narrative. In the context of a biennale, an emphasis on history checks a number of boxes: it speaks to national identity, and frames the works with social relevance and intellectual sophistication. But I would argue that one should not overstate the overlaps between SAM’s curatorial themes and those of SB2016. SB2016 is only the second time that SAM curators have been in charge of the Biennale. While historical themes undoubtedly are part of a number of works in SB2016 — for example, Agan Harahap’s Mardjiker Photo Studio, Titarubi’s History Repeats Itself, Fyerool Darma’s The Most Mild Mannered Men — “history” does not appear to be overtly dominant in this exhibition. 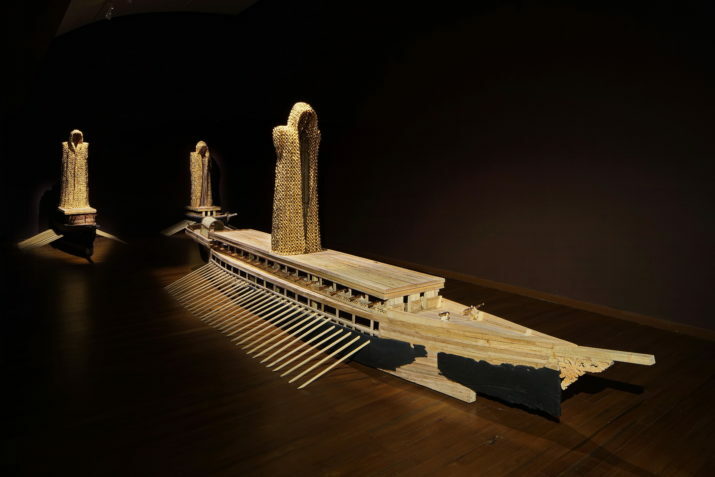 Candice Li: SAM’s geographically-themed exhibitions, like Odyssey and Imaginarium, invoked a sense of the mystery of exploration and maritime voyages, themes which are inextricably linked to Singapore’s own history as an island and merchant city-state. I recall such works as Ocean’s Room by Ashley Yeo and Monica So-Young Moon, and Wyn Lyn Tan’s Adrift, which was inspired by her 16-day artist residency in the Arctic Circle. Such artworks and exhibitions built up an expectation that SB2016 would explore geography with the same kind of intensity. SB2016 could have developed quite nicely from those past projects to produce an interestingly detailed survey of the region, but it seems to have fallen short. As discussed above, the many too literal interpretations of the theme, “An Atlas and Mirrors”, seems to have served to confuse and dilute the biennale’s potential, rather than develop and deepen those trajectories of exploration. Luke Chua: At stake is more than just the institution of SAM, but the artistic landscape of Singapore in general. Only recently in 2013 has SAM been incorporated as a Company Limited by Guarantee, but even then, its links with the Ministry of Culture, Community and Youth (MCCY) and the National Arts Council (NAC) cannot be ignored. How art is created, presented and curated in Singapore cannot be discussed apart from the wider socio-political context of the country. 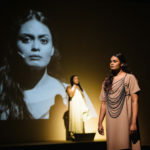 Consider the controversy over Chandrasekaran’s Unwalked Boundaries, which revolved around taboo issues of religion and race in Singapore. When controversies like these break out, the hand of the government becomes all too apparent. Curators and biennale organisers had to rush to contain the situation, thereby inadvertently revealing a picture of what a Singapore Biennale can look like and what boundaries it should not cross. Should SB take on the role of trying to tell the story of contemporary art in Southeast Asia? For the rest of the region, the problem is not just with SAM, which has been a dominant institution, but also, again, the Singapore state. There is a concern about the centralisation of viewpoints that SAM and Singapore represent. But here is where the parallel and affiliate projects undertaken by other institutions can complicate the situation. These other institutions — from the Institute of Contemporary Arts Singapore to the NTU Centre for Contemporary Art Singapore — provided different curatorial voices within SB2016. Could they go further? Is it possible that the next biennale collaborate with such projects to offer strongly alternative, though not necessarily oppositional, voices to the central curatorial framework of SAM? Elaine Chiew: I concur with Luke. To me, the ambition of SB2016 — and this its fifth rendition — is inexorably tied to Singapore’s geography as a city-state. Other regional biennales, from Shanghai to Taipei to Gwangju, arguably have less of a burden in representing the host country’s national perspectives. The Singapore Biennale’s navigation of the local, regional and global is far from smooth sailing; SB has to navigate bumpy waters fraught with different constituent interests. 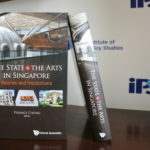 SB also has to compete within its own territory — vis-a-vis other Singapore institutions — for a regional artistic vision that best represents both Singapore and Singapore’s view of the region. 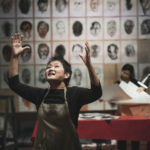 Kathy Lai, CEO of NAC, and Co-Chair of the SB2016 Advisory Committee, stated that SB is meant to be “a critical platform for the unique practices, concerns and perspectives of artists from Southeast Asia, and acts as a springboard for featured artists to be noticed and invited to other global platforms” (emphasis mine). This statement seems to presume: (1) that regional artists as a grouping have not yet acquired the desired visibility on global platforms; (2) there is indeed a “global arts community”, which forecasts ambitions beyond the regional; (3) SB distinguishes itself from other regional biennales, because it is better aligned with the global contemporary art world and; (3) there is a psychic need of Singapore to escape from the geographical constraints of “this corner, this island”. The vocabulary employed within SB2016’s curatorial frameworks emphasises the universal, to the detriment of clarity. If the universal connotes that which binds all humanity together regardless of cultures, identities, territories, histories, then this may operate at the level of something fleeting or small, and not just at the level of grand themes. It’s interesting that so many of the artworks veered towards “big” rather than small, triggering my curiosity as to the conversations between SAM, the curators and the artists. The “intense collaboration amongst regional curators”, has been a strength of SAM’s two biennales, and I wish there would be more documentation of these conversations in the SB2016 publications. The mirror is a powerful framework and metaphor, it’s a well-chosen one for SB2016 in my opinion; the mirror, first and foremost, enables one to view oneself. 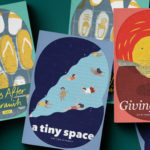 The ability of the “small”, the particular, the “I”, to inadvertently and more movingly speak to the universalities in human condition can allow a level of self-determination and revelation that more institutionally-directed and controlled efforts may not. Efforts to expand artistic reach can be either crippling or enabling. Susie Lingham said in her introduction to the SB 2016 catalogue, “we experience ourselves”. Artists explore the self all the time, but the broader processes at work on artistic consciousness and production must include a conscious examination of many invisible influences. Seng Yu Jin: Less to conclude than to wrap up. The complicated and contested territories of curatorship today have magnified the curatorial complex. In addition to trying to conceptualise and execute curatorial frameworks that allow for ideas and encounters to emerge and connect in speculative and serendipitous ways in a continuous space of negotiation, biennale curators have to deal with a constellation of competing agencies and agendas, from national funding bodies to supranational concerns that connect the local, regional and global. On behalf of AICA, I would like to thank the students for their contributions, and Jeffrey Say, Programme Leader, MA Asian Art Histories, LASALLE College of the Arts. See: Irit Rogoff, “Smuggling – A Curatorial Model” in Venassa Joan Muller and Nicolaus Schafhausen (ed. ), Under Construction: Perspectives on Institutional Practice, 2009; Claire Bishop, Radical Museology, or, What’s Contemporary in Museums of Contemporary Art?, 2013; Maria Lind, “The Curatorial,” in Selected Maria Lind Writing, 2011; Beatrice von Bismarck, “Curatorial Criticality: On the Role of Freelance Curators in the Field of Contemporary Art” in Marianne Eigenheer (ed. 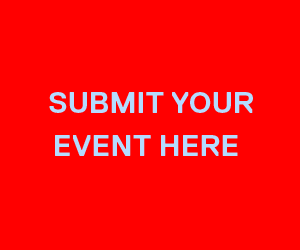 ), Curating Critique, 2017; Emily Pethick, “A Dog that Barked at the Elephant in the Room”, The Exhibitionist, No. 4 June 2011. Contributors’ bios: Candice Li is an arts administrator. Elaine Chiew is an award-winning fiction writer. Eunice is engages in different mediums and practices including photography, painting, new media, installation, as well as art writing. Luke Chua works in the public sector. He is also a museum docent and co-founder of (plu)ral. The Art Blog. Usha Chandradas is a tax lawyer, accountant and co- founder of (plu)ral. The Art Blog. All five are currently pursuing their Masters in Asian Art Histories programme at LASALLE College of the Arts. Seng Yu Jin is a member of AICA Singapore, and Senior Curator at National Gallery Singapore. He was a Lecturer in the MA Asian Art Histories programme and the BA Fine Arts at LASALLE College of the Arts.